Good nutrition can be very confusing. 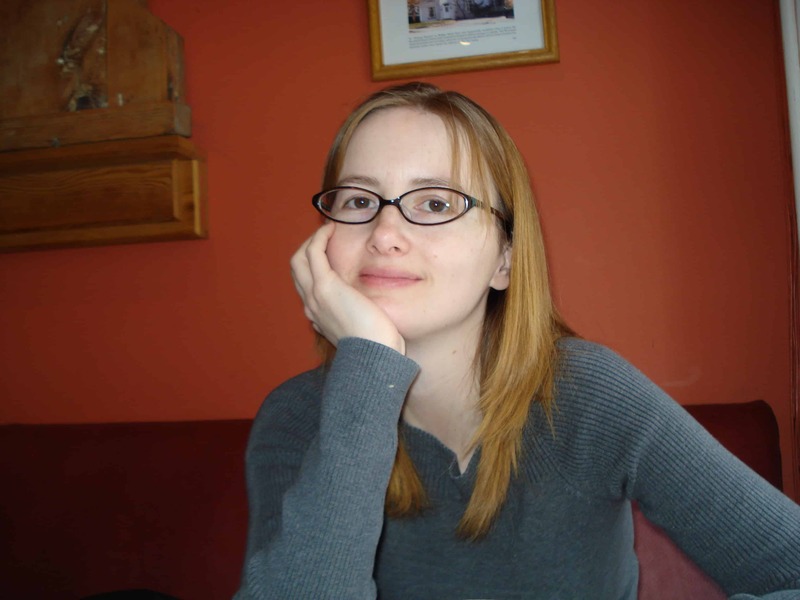 There is an enormous amount of information available and thousands of studies that support both sides of every argument. 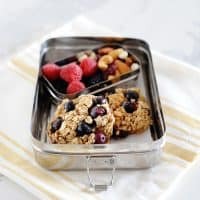 One thing that most of the experts can agree on is that children learn better when their brains and bodies are fueled with a well-balanced breakfast. 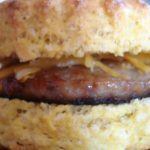 Prepackaged frozen breakfast items are very tempting because they are quick and easy to prepare, and let’s be honest, we’re busy! They taste great—but they are also laden with many undesirable ingredients, not to mention fat and calories. 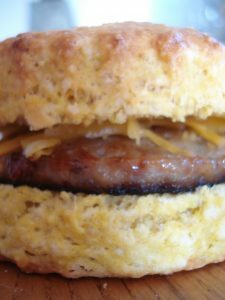 One of our favorite premade breakfast treats is sausage and cheese on a biscuit. 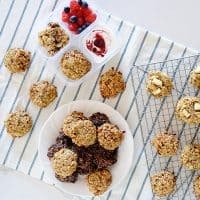 But in a quest to make healthier food choices, we forgo the prepackaged variety, and the fast-food variety, and indulge in our own homemade version! These are really tasty on sweet potato or butternut squash biscuits! 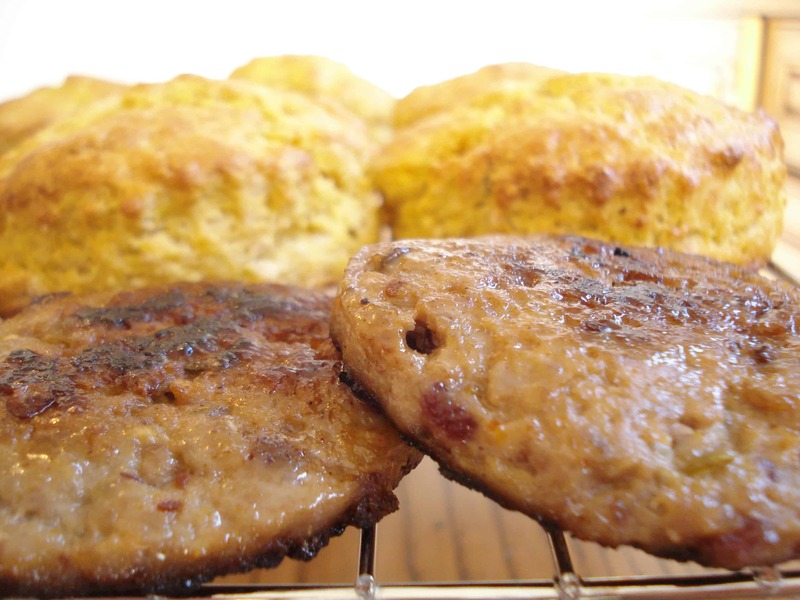 This recipe for sausage patties is very versatile. If you have time to cook in the morning, you can make the patties ahead of time and freeze them in between pieces of foil or waxed paper, and cook them from frozen. If time is not on your side, you can precook them. Then it’s just thaw, warm, and serve. 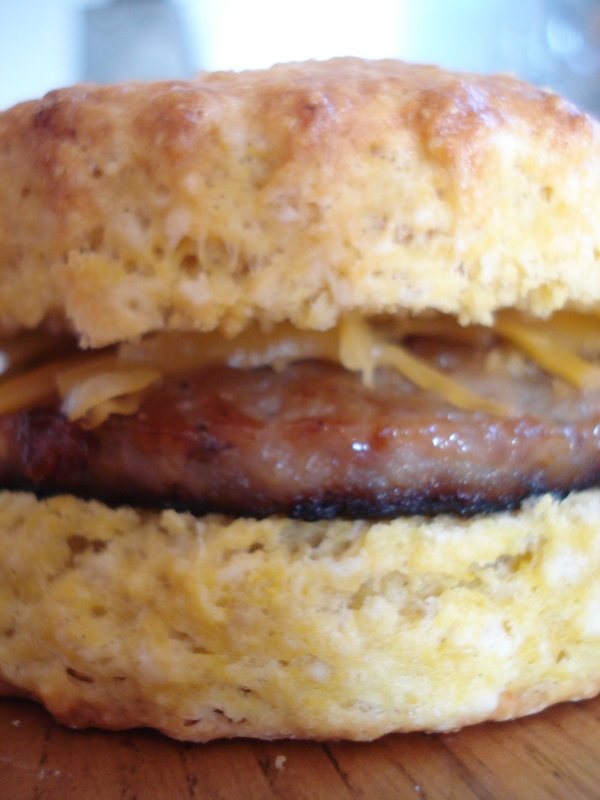 To save yourself even more time, you can make and freeze biscuit sandwiches, complete with cheese and sausage patty. Then thaw in the fridge overnight, and pop into the toaster oven or microwave before you race out the door in the morning. Breakfast sausage is one of my favorite side items to many of our favorites: pumpkin pancakes, waffles, or scrambled eggs. You can season these patties any way you like. And the best part—because you make them yourself, they are BHA–free, BHT–free, and nitrate- and gluten-free. You can use organic pork, or turkey, or chicken. No artificial colors or flavors added. Why do they add color to commercial sausage? What color would they be if they didn’t?! I’m almost afraid to ask! What are some of your favorite ways to serve up breakfast sausage? Makes approximately 12 patties. 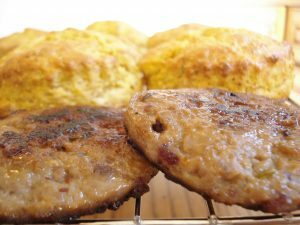 For a traditional breakfast sausage flavor, rubbed sage, thyme, and rosemary work well in place of the cranberries and orange zest. Crush the fennel and salt with a mortar and pestle or in a spice grinder. Combine with the pepper flakes, thyme, and black pepper. Set aside. To cook immediately, place the patties in the fridge for an hour before cooking. This makes them firmer and much easier to cook. Cook gently in a pan or on a griddle. Eat immediately, or freeze individually, or assemble into sandwiches. To freeze as patties: Line a cookie sheet with waxed paper. Place the patties on the cookie sheet in a single layer in the freezer until frozen solid. Using scissors to cut the waxed paper, place each one in a large freezer bag or plastic container. 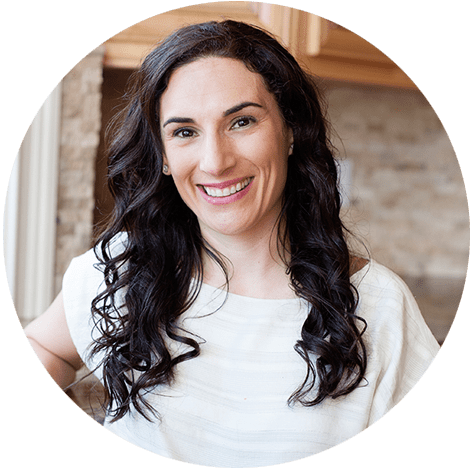 About Jenn Sprung: A full-time mom to three wonderful children, with a keen interest in boosting the nutrition in every bite. Because in my world, every bite counts! 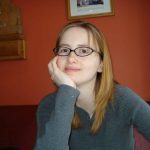 Visit Jenn’s blog Cleverly Disguised as Cake for additional sneaky resources or learn more about Pediatric Feeding Disorders and how to help your child. 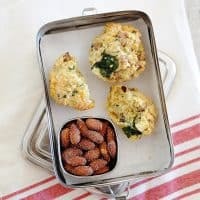 Healthy, savory jumbo muffins packed with sausage, apples, and cheddar cheese. I love you. I’m so excited to try all these breakfast recipes!!!!!! I think Jennifer meant what I was wondering, myself: “or a traditional breakfast sausage flavor rubbed sage, thyme, and rosemary work well in place of the cranberries and orange zest. ” What are the measurements for these spices? Thanks! I’ve done this recipe many times without the cranberries or orange zest. For a more traditional sausage: 1lb meat, 1tsp finely chopped sage, 1 tsp finely chopped thyme, 1/4 tsp finely chopped rosemary. What would be the measurements for making “traditional” sausage? do you mean inserting them in a casing? the recipe makes the sausage meat in bulk you just have to encase it. I actually don’t eat a lot of breakfast sausage, but I love it. This is something I would try. It looks delicious! And I love that you can freeze it! Awesome! I made them with lean turkey and they are delicious!